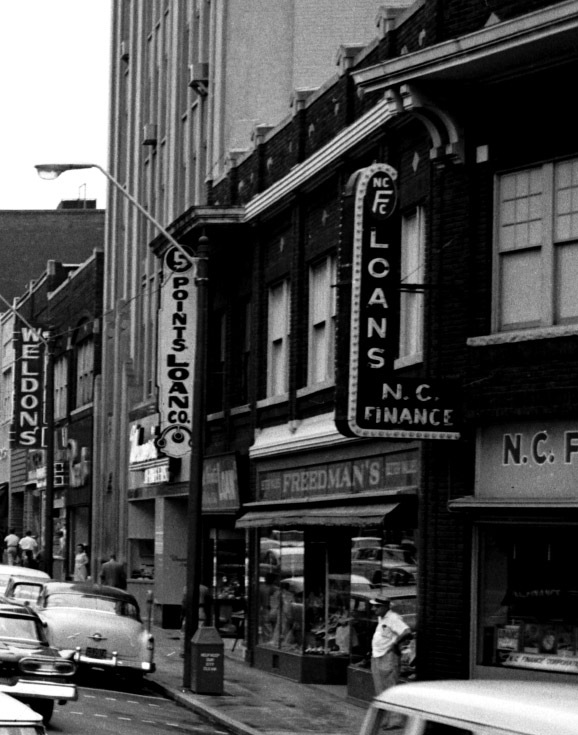 The files at the NC State Historic Preservation Office call this the Freedman's & Riddick Printing building. 339-341 W. Main was built in the 1920s as part of a row of structures replacing earlier frame establishments and industrial uses, such as Seeman's Carriage Works. The area between Corcoran and L & M rapidly took on a retail focus during this era, as the 'core' of downtown to the east focused more on the office and government sectors. Above, mid-to-late 1920s picture showing the completed row of buildings along the southern 'point' of Five Points. One earlier-generation structure remains, set back slightly from the street - more typical of the previous structures. 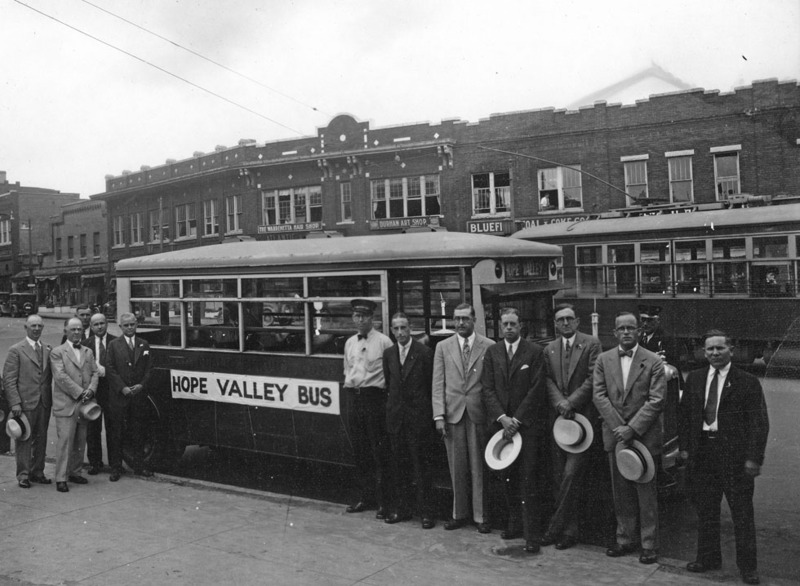 It would be replaced by the Snow Building by 1930. 339-341 is immediately to its right, with the ornamental 'points' atop the cornice. 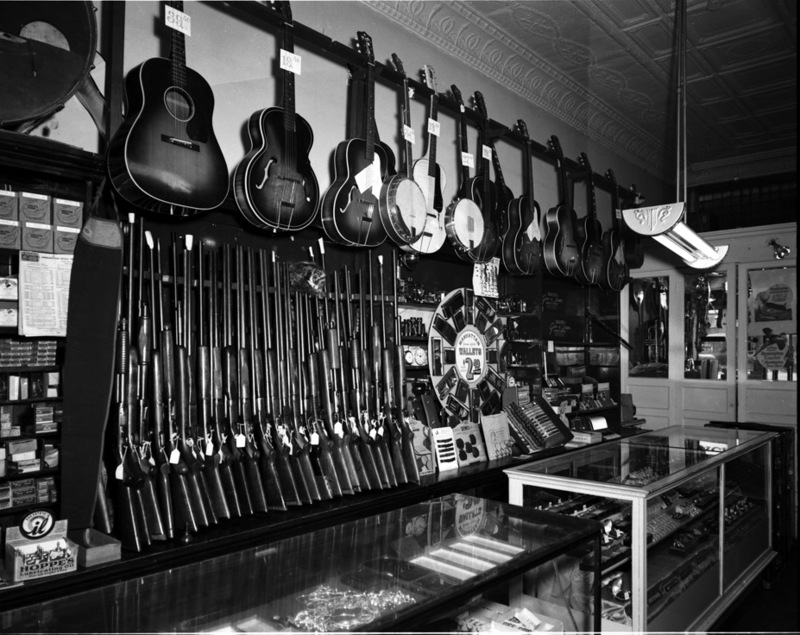 By the 1950s, 341 was home to "Freedman's." 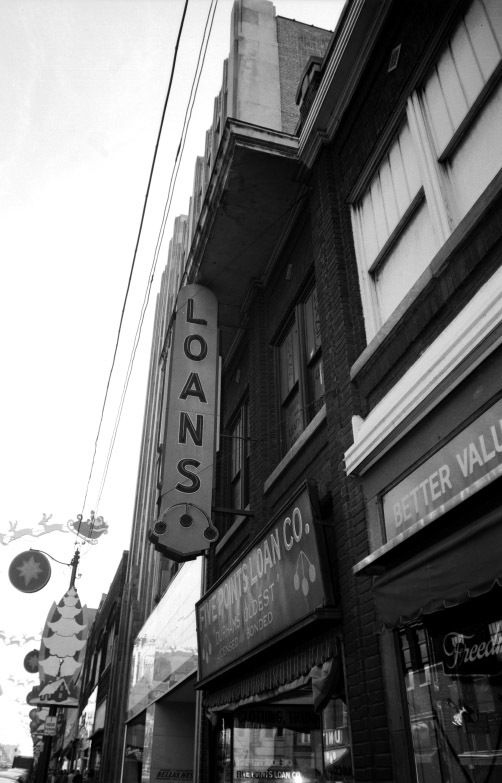 The smaller 339 storefront had a larger built-out 'shelf' as part of the cornice, and was occupied by the Five Points Loan Company. This row of structures remains the best-preserved historic architecture in Durham - actually continuing for more than a block without a parking lot. 2007, during a streetscape project to return Main and Chapel Hill Streets to their original two-way configuration. 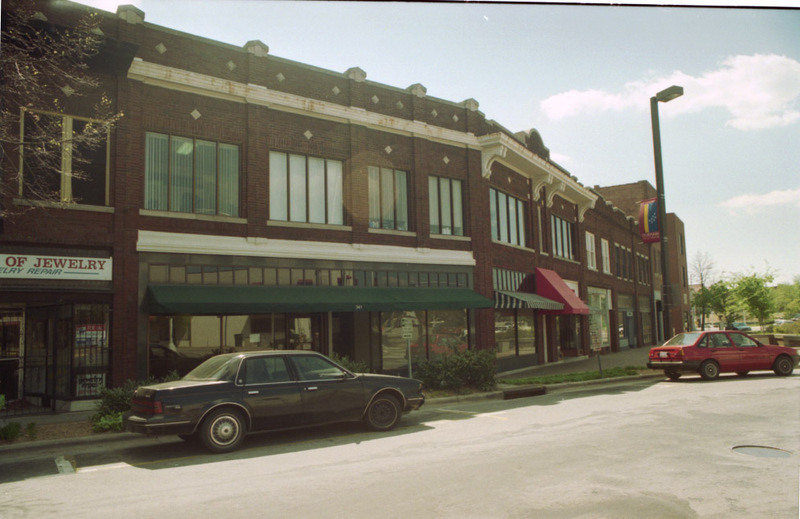 As of 2011, 339 West Main is home to Center Studio Architecture, and 341 a beauty salon.